DropSpace is a very good solution for those who are regularly changing their data on the phone’s SD card, or switch between cards. A backup of the important data should always be done before a change. 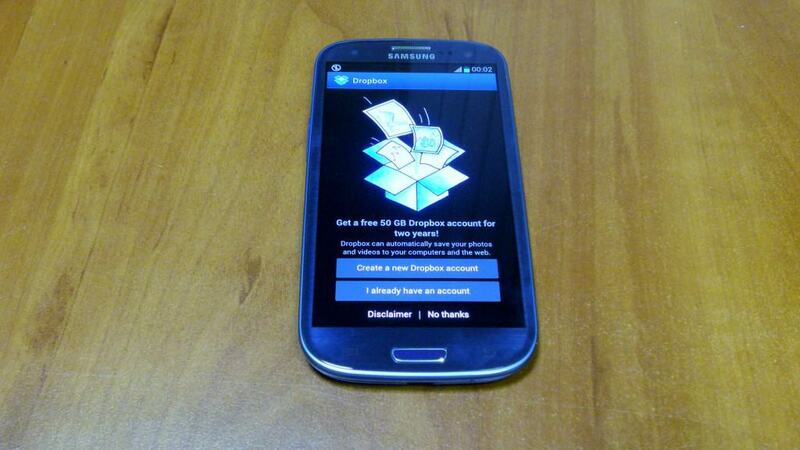 This application for Android will do that for you, by syncing the data existing on the card with the DropBox. You should know that the DropBox it is very useful for smaller cards because bigger cards can’t be stored on the space available of a DropBox. Also, you will improve your transfer speed if you are connected to a wireless network. You will probably want to save all your data from your 16 Gigabyte SD card and you will look after backup options and bandwidth needed for a good transfer of files to the Dropbox. In this case, you should define your priorities and select the most important data that you want to save. For example, if you have 12 Gigabyte of music files that will not fit with the size of the Dropbox, you will need to establish if you have other files that are more important that your music. If you have such files, you will simply backup them on the Dropbox and let the music away, because you can add it again from your PC. You will need to authorize the application to communicate with the Dropbox storage and then go to the app start page. There, you will find Manage sync list and you will click it to add the files that you want to have a backup on the Dropbox. If you want to check the available settings, you will find them displayed under the sync buttons. You can modify the parameters related to the file synchronization. The application will use 1 hour intervals to check the data for transfer if your device is connected to a Wi-Fi network. Using the Wi-Fi options, you will be able to modify the interval and the restrictions. The notifications can be easily turned off and you can enable a quick elimination of the files from your SD once they have a backup on the Dropbox. This application is the best options for those who risk to lose important data from their phones. It can be used on all Android 2.0 or higher versions.